Blend like a professional with the 4 pack of Miracle Complexion Sponges from Real Techniques. The versatile beauty tool is created with innovative foam technology, perfect for blending makeup evenly, resulting in a smooth and enhanced finish. The orange sponges can be used damp in order to create a dewy glow, whilst a dry sponge will allow for full coverage. 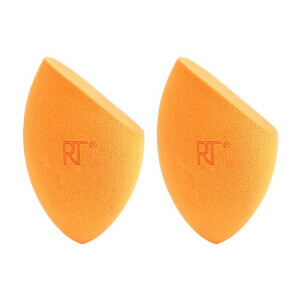 Ideal for liquid foundation and other makeup products, the Complexion Sponges comprise rounded sides for blending the large areas of the face by using a dabbing motion, a precision tip for covering blemishes and other imperfections and a flat edge, ideal for the contour of the eyes and nose. Save 20% on Real Techniques. Discount has already been taken from RRP. Exclusions apply. Receive a FREE Caudalie Hydration Essentials when you spend £55. Complimentary gift will be awarded at the basket. Offer valid for a limited time only, while stocks last. These are my first sponges from this brand. I decided to buy them because I have many favorite brushes from Real Techniques and trusted in their other products. I only used sponges from Primark before and found them very difficult to clean, also I wanted to go for quality this time, but still affordable. These are more soft and delicate and I love they have a flat part, too. I find them very good so far and since I have them I always use these to apply my foundation or blend concealer instead of brushes. I feel like I can work the products better into my skin, also it takes the extra product from the surface when I go through my face again. I know, its more hygienic to use brushes, but as my skin is really dry this winter I needed some extra gentle care and these sponges are perfect for my problem. These sponges are the best to apply foundation, they allow you to both cover the whole face and also under the eyes. I highly recommend them, easy to use and easy to clean. 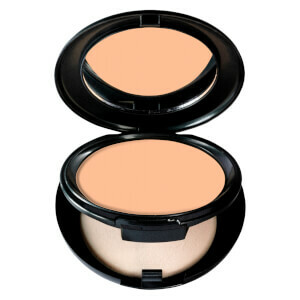 Recommend it 100 %, especially now in summertime to achieve flawless foundation application. Brilliant sponge for a reasonable price! Does the work as it says on the package. As the saying goes, it does the job it says on the tin. These are absolutely brilliant. For the first time I felt like I was not wearing makeup yet my skin looked glowing and so poreless and smooth. If anyone is dithering in buying these products I can only say they converted me so BUY. Makeup blends so well with these I'm always buying them so I thought I'd get 4 to stock up.